Nao Saito is an alumna from the 2014 TOMODACHI Summer Coca-Cola Educational Exchange Program, and will start her Freshman year at Tohoku University of Art and Design in Yamagata Prefecture this Spring with two other alumni. She is from Fukushima. I was born and raised in Fukushima. Since the Great East Japan Earthquake, I have spent three year of my high school years living separately from my mother. Even now, we are still living separately. I have two younger brothers and one younger sister. Nine months after the nuclear disaster at Fukushima, my mother sought to voluntarily evacuate to Kyoto with me and my siblings. However, I resisted her will as I did not wish to leave my grandparents and my friends behind in Fukushima. Therefore, I decided to take the Fukushima high school entrance exam and remain in Fukushima with my grandparents. I did not understand my mother’s reason and urgency in having to evacuate from Fukushima. During the nine months before her evacuation, she borrowed a dosimeter, measured the level of radiation in our body on a daily basis, took note of the measurements, and participated in anti-nuclear protests. Why go so far? I always questioned my mother’s efforts in my mind. My mother was a completely different person from the woman she had been before the disaster, and I did not like the change in her. Since entering high school, I have started to visit Kyoto from time to time. When I met my mother there, I was surprised to see that she was thinking about our house in Fukushima very seriously, despite the fact that she did not live there any longer. At the same time, she was devoting herself towards sharing her own disaster experience by giving lectures at universities and participating in disaster related activities; she was swiftly spreading her community in Kyoto. One time, I searched my mother’s name online, and her story of giving a public lecture came up. I could tell from the story that she was very worried about the negative impacts that the radiation would have on my body. And I realized for the first time that everything that my mother had been doing was for her children. Some people might think that her actions were completely normal, and that they were all things that every mother would have done. However, when I noticed that her entire driving force was directed towards protecting me and my siblings, the fuzzy feeling of disappointment and uncertainty that was stuck inside my chest for the longest time immediately disappeared. Even when she was living in Fukushima, my mother had extensively researched about nuclear power and radiation, and had shared her knowledge to other mothers in the area. However, they did not listen to her seriously, and dismissed her concerns with words such as, “You’re still worrying about it?” and “Just let go of the nuclear power plant issue”. Thus these indifferent attitudes may have added to my mother’s stress. Despite the fact that there were voices of opposition towards evacuation, my mother had prioritized her children’s safety, and had made the difficult decision to evacuate. In Fukushima, there are families who have evacuated to someplace far away, as well as families who remain in the prefecture. I have even heard of people in the Kanto area, who have evacuated due to their concern for radiation. Each family has their own personal reason for their decision to evacuate or stay. The fundamental issue does not lie in determining whether remaining in Tohoku is good or evacuating is bad. During the three years of my high school, I have taken classes on reconstruction. Ever since the disaster, my high school has committed itself to offer these classes starting from our year. Using our comprehensive/integrated class times, we have listened to lectures on nuclear power and radiation, worked in groups to research various post-disaster challenges, and presented on possible solutions. Through these classes, I have learned that “we cannot know” the exact impact of the radiation caused by the Fukushima nuclear power plant disaster. Ever since the nuclear power plant disaster, everyone in my high school, including myself, has been receiving thyroid gland testing. This is because a predominant health damage that had resulted from the Chernobyl nuclear accident was thyroid cancer in children from internal exposure to radioactive iodine. In addition, small dosimeters called “film badge” that could be worn around our neck were distributed. All of these measures were taken to investigate the level of radiation exposure. For both examinations, we had to wait at least a month to get our results back. Also, even if abnormalities were detected from the thyroid gland tests, sometimes the medical results would state, “it is hard to determine whether the abnormalities are actually caused by radioactivity”. These examinations made me feel like we were getting used as guinea pigs. Even if abnormal testing results emerged, they were attributed as something that had resulted from unhealthy lifestyle habits. It seemed to me as if all abnormalities from the tests were labeled as “hard to determine”, and this made me become doubtful and skeptical toward not only the tests, but also toward the society’s definition of radiation. It made me ponder what exactly radiation was. This is why it is impossible to know the exact impact of the radiation; we simply “cannot know”. I do not know what kind of impacts the radiation will have　or when the symptoms will start to appear, and because of these uncertainties, I live in fear. I have heard people say that because of the exposure to radiation, “babies with birth defects will be born”, and my friends and I have discussed this ominous possibility together. I still think about it from time to time and get frightened by the thought of it. Because of these various circumstances, now I understand why some people remain in Fukushima while others evacuate far away. The more I have learned about disaster related topics at my high school, the more I have come to understand my mother’s past actions and efforts. Soon after evacuating to Kyoto, my mother found a job. She is working at a café called Kitchen Nagomi, which was started by an NPO organization called Nagomi that specializes in disaster relief support. 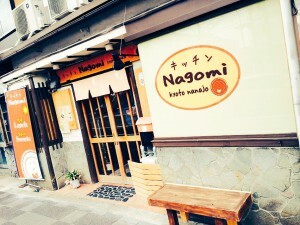 As a result, Kitchen Nagomi has become a popular place of work for both local Kyoto residents as well as evacuees. The café’s intended purpose is to be a place of employment support for evacuees and migrants. The other day, I went to Kyoto and had the chance to actually visit the café. Most of the employees of the café were working mothers. The café’s atmosphere was very nice and comforting, and all of the staff were very lively, including my mother. It was a place where women who love cooking and baking can gather. My mother loves drawing advertising signs and fliers, and she seemed very happy to be working there. The fact that the café is operated by working mothers has made it a friendly and convenient place for mothers to visit with their children. The café has a play space for children, and its bathroom has a space where mothers can change their babies’ diapers, Not only are the employees’ attitude and service toward their customers excellent, but also they are flexible towards the need of their customers. The employees are always trying to change the menu and the use of the café space to make it the very best place. The café has also become a place where evacuees and migrants can share their experiences, because everyone has reached this café under various personal reasons and circumstances that is worth telling. From this café, I have learned that “a place to share experiences” is something that is very important that should not be limited to this café, Fukushima and Kyoto, but be a part of every place including households and work environment. I think there are various ways for people to make advancement into society, and one thing that is an integral part of this process is involving yourself and connecting with various people. Just because you are a woman, a mother or a child does not make it any harder for you to advance into society. Each and every one of us are involved in our community in various ways and forms. In fact, sometimes being a woman, a mother or a child can work to your advantage, as there are certain things that can be done only because you are a woman, a mother or a child. I visited Kitchen Nagomi because I thought it was rare for a café to exist that is a friendly and convenient place for mothers to visit with their children. 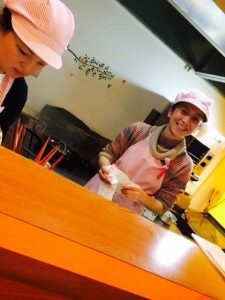 Every working mother that I met at Kitchen Nagomi was very lively. Also, every customer seemed to be genuinely enjoying their meal without having to pay mind to their children. I thought that this comforting and lively space was able to be created because of the mutual understanding about being a mother that exists between all of the workers and customers. By seeing the cafe and the working mothers, I have come to feel strongly about women leadership, especially in regards to my mother’s advancement into society. I think that it is an important issue for Japan, as the country has been experiencing reduced fertility and declining birth rate. Traveling to places with your children can be strenuous as it requires a lot of work and effort. Mothers have to cope with their child who may start to cry suddenly, or they may need to change their baby’s diaper. Mothers are always worried that their children may cause trouble to others. However, Kitchen Nagomi and its staff not only seems to understand the various hardships that mothers face, but also seems to want to break free from the social norms that make it challenging for mothers to travel with their children; Kitchen Nagomi is trying to create a space where mothers can freely gather and relax without having to worry about their children. And the intrinsic part of realizing this goal are the workers who are also mothers who can truly understand other mothers. By thinking from a mother’s perspective, staff of Kitchen Nagomi has created a space that is best suited for mothers. The creation of such a space further fosters the gathering of mothers and the building of communities for mothers. By visiting Kitchen Nagomi, I learned a way of advancement into society that utilizes one’s identity of being a woman, a mother or a child to one’s advantage. 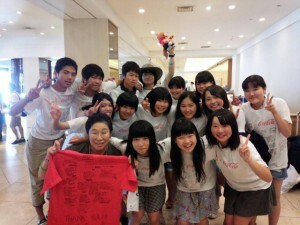 Last summer, I experienced the TOMODACHI Summer 2014 Coca-Cola Educational Homestay Program as a third year participant. 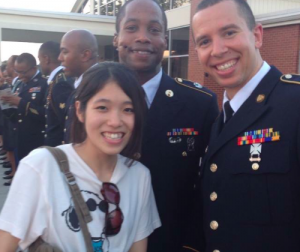 During my two week stay in the United States, I gained various life changing experiences. It gave me an opportunity to view Japan, my own country, from the outside. It also gave me an opportunity to see how undeveloped and half-fledged I was as a person, and to reflect on myself. I was able to learn so much by going abroad. Out of all of the things I gained from participating in this program, the one thing that was most valuable to me was the opportunity to meet so many wonderful people who will continue to be an integral and precious part of my personal connections. Due to the connections I made during the program, recently, I was able to visit Kobe and learn about the Great Hanshin-Awaji Earthquake at the Kobe Mirai Kaigi. Even though this trip was not the first time I was visiting the Kansai area, it was the first time for me to go there for an educational purpose. I was able to spend a very meaningful time there. Subsequently, I was able to make new connections in Kansai as well, and this further raised my awareness in the value of broadening one’s connections and community. I am forever grateful for everyone who has been involved in providing me these wonderful opportunities. I am determined to fully utilize all of the lessons I have learned and the connections I have built through these experiences in the future.